Pixar's streak of critical and popular success is uncanny. With the possible exception of CARS, no matter how much hype, they seem to deliver one delightful film after another. After ten feature films, so lovingly and painstakingly put together, it really shouldn't come as a surprise any more, but somehow I find myself tickled with such surprise as I watch their handiwork each time. 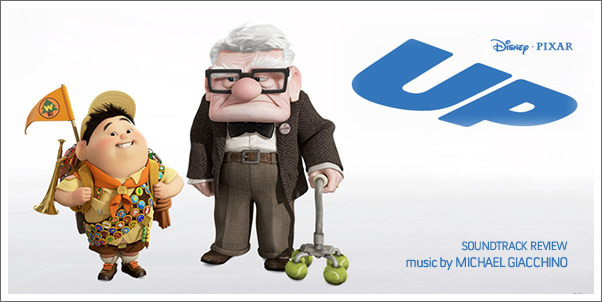 In UP, we have the simple tale of a lonely, aging man, Carl (voiced perfectly by Edward Asner), who has lost the love of his life and a specific promise of adventure they had covenanted to share. In a desperate act to make good on his promise to his late-wife, Ellie, Carl constructs the most unique "mobile-home" you'll ever see. With helium, latex, and the wind as his means, Carl is determined to bring his home to Paradise Falls in South America, rather than let it fall into the evil clutches of property developers. On his journey, he is befriended by the immediately likable, Russell, who is determined to earn his final "boy scout" merit badge by assisting an elderly person. With equal resistance, Carl's gang is further increased by the tag-alongs: Kevin, the elusive "snipe," Dug, the outcast from a pack of villainous pooches and, finally, Charles F. Muntz, the one-time adventurer. What struck me about UP is that there isn't one glaring thing that makes the film so enjoyable, but a combination of many small elements. As with most Pixar creations, the characters are distinct and likable, not in spite of their flaws, but because of them. Their subtly, clever writing continues and their attention to fine detail never sharper. Counted among Pixar's "small elements" was the hiring of Michael Giacchino to provide the musical character for UP.